It’s a big deal. You’ve invested a lot already, and you really don’t want to stuff it up. Below are some answers to the common concerns and queries we’ve had a few times. Is this the best option for under-body rust? 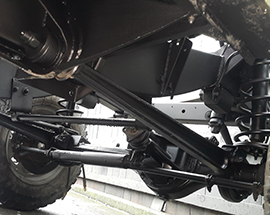 If you are looking for a long-lasting, premium solution to underbody rust, media-blasting is second-to-none. Media blasting removes all traces of rust – even pulling out deep pitted rust – leaving a fresh “white metal” finish with absolutely no rust. What is the ‘media’ in media blasting? 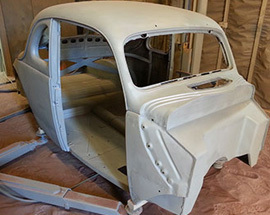 Media is the type of material which, when combined with various air pressures, is used to strip paint or rust. Many different types of media can be used from Glass to Soda, walnut, aluminum oxide, garnet, plastic bead, dry ice, steel shot etc. The majority of rust removal applications are best suited to garnet. Specialist surfaces may require different types of media. We provide expert unbiased advice on the best media use necessary for your application. Most of our media is imported from India. It is a premium product that gives a fine, uniform finish. It’s washed, completely inert and is safe. In many cases we can recycle the media up to 4 times, improving the efficiency of the product and substantially improving it’s sustainability. Is my project too delicate? 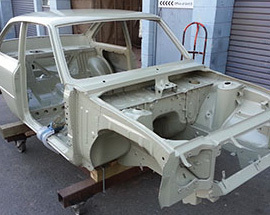 The common concern with abrasive blasting is that the process will warp delicate panels. A high skill level and a specialized technique are required to mitigate this. We have the right product for your project no matter what it is and also the expertise to advise you on the correct stripping method for your project We’re happy to answer any queries you have about something you have in mind, just give us a call. What about my classic car? 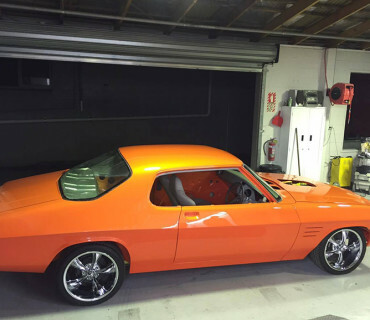 We take exceptionally good care of classic cars. 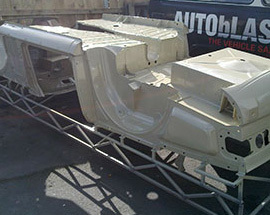 If you are looking for the very best start to your restoration project, then you’re in safe hands with Autoblast. 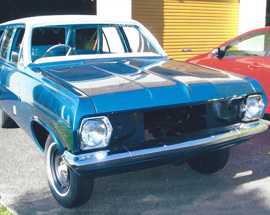 Since 2003 we’ve been part of the restoration process for over 250 classic cars. Our favorite was a beautiful 1930’s Rolls Royce. We consistently get good feedback from all our clients. How big can you manage? At this stage, we can handle anything up to 11meters long x 3.1meters high and 2.5 meters wide. We’re more than happy to service heavy machinery as long as it can fit in our workshop, and can be moved with a forklift or trailer. (See maximum size above). In the past we have trucks, diggers, tippers, bulldozers and all sorts of other machinery. 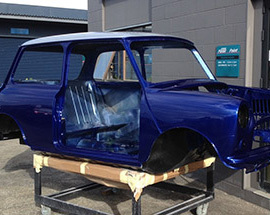 Arc-spray galvanising is the best preparation you are going to find for your paint job anywhere in NZ. Literally ‘galvanizing in a gun’, any blasted surface can be “metal sprayed”. 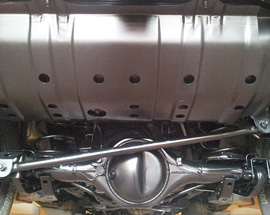 When combined with an epoxy coating this treatment can give up to 65 years of protection. It’s truly outstanding and perfect for 4x4s that might see beach action, or restorations where you want the ultimate peace of mind. Another novel use for metal spay is coating almost any object to make it appear as if it’s solid metal. We’ve done this in the past for sculptures with outstanding results.